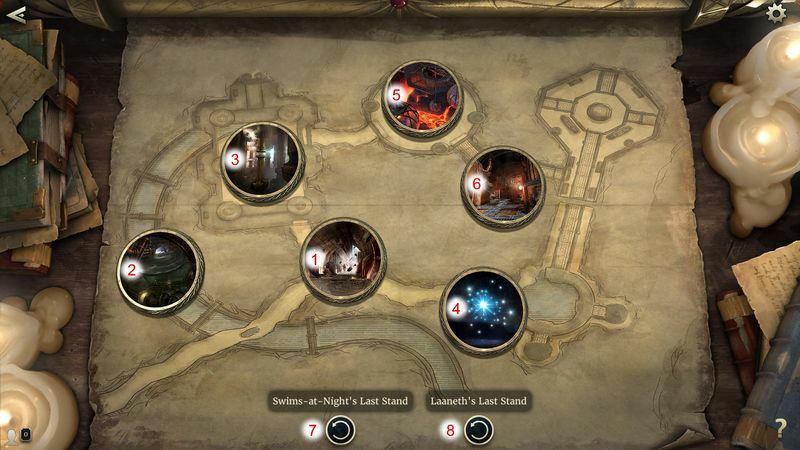 Return to Clockwork City is the third story for The Elder Scrolls: Legends, which released on November 30, 2017. 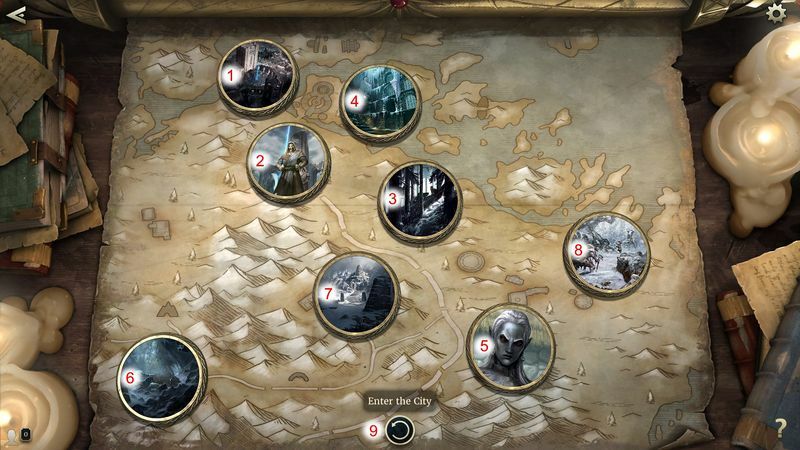 The story is divided into three "maps", which can be purchased individually with money or in-game gold. A bundled price of USD $19.99/€19.99 for all three maps is offered if purchasing with money. 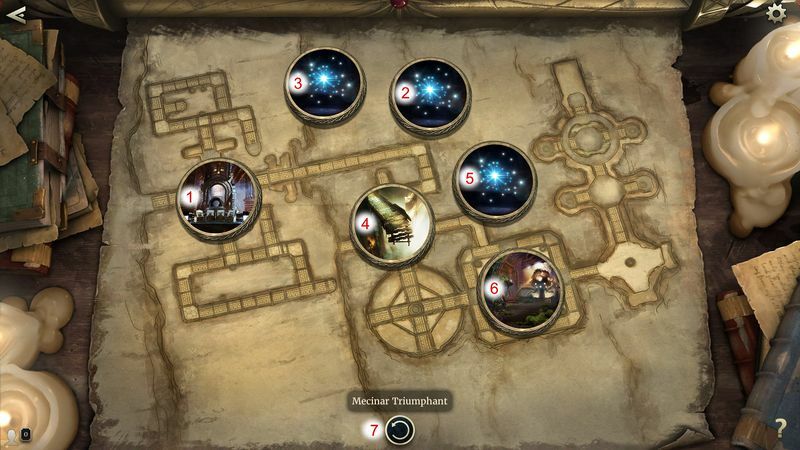 The maps can be individually bought for 1000 in-game gold or USD $7.99/€7.99 each. The story comes with over 35 missions, and rewards 58 new cards. It follows a story based around the Clockwork City after the demise of Sotha Sil. Similar to The Fall of the Dark Brotherhood story, player choices do not affect the cards you earn. Instead, choices will change the challenges you face as part of the story missions. Return to Clockwork City Pre-Purchase was available before release for USD $19.99/€19.99 and came with the "The Relic Hunter" title. If one purchases the Triple Bundle with real-world money, the Clockwork City Card Back will be awarded. The story seems to be almost entirely contemporaneous with the events of TES V: Skyrim. See the notes. Keep the ring. or Return the ring. Keep the ring and become a werewolf. Return the ring and get aided by wolves. 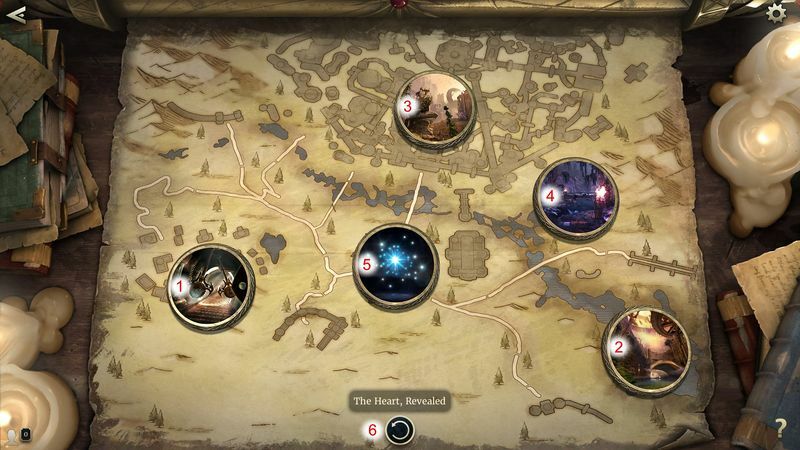 Denotes a quest with reward which is part of the main story chain. 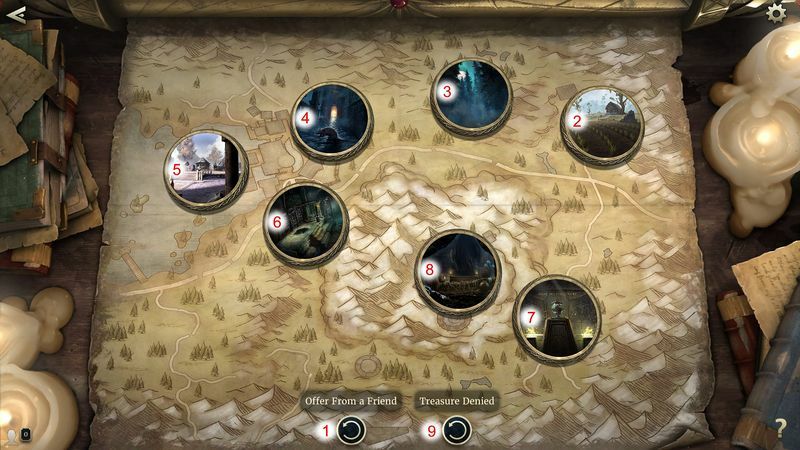 Denotes a quest with reward which is optional for the main story. 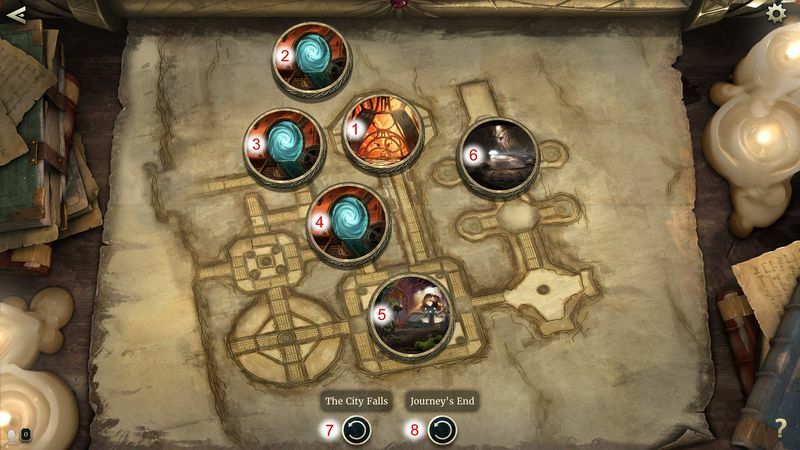 Return to Clockwork City introduces the Clockwork City card set, which can be earned in its entirety by playing through the story content. The Stormcloaks are in control of the Rift and are fighting with the Legion in Eastmarch, setting Episode 1 and Episode 6 during the Civil War. An Old Man is in possession of a ring who uses it to control his son's werewolf transformations. This is likely the Ring of Hircine, setting Episode 1 either before or after Ill Met By Moonlight. Dragons have recently returned, but their return is still just a rumour, setting Episode 2 likely sometime between Unbound and Dragon Rising. This page was last modified on 30 January 2019, at 12:24.